Some of my friends are touring the Holy Land right now, so I've been living vicariously through them & their Facebook pictures. 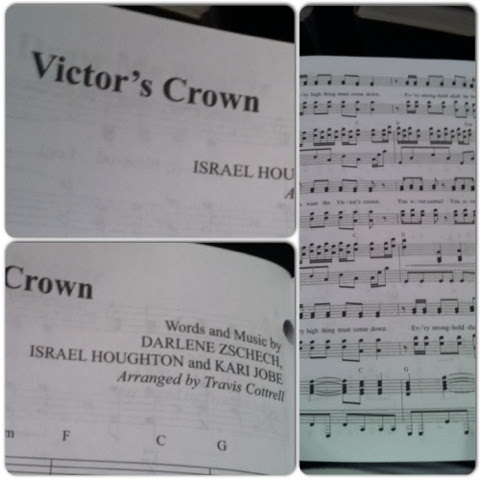 Tonight, in Choir, we practiced our music for our Maundy Thursday / Easter program. Y'all. It's powerful. The lyrics & the Truth it tells just gets all over me. There was one song we practiced tonight that stuck in my head & the lyrics were right-on as far as touching everything I'm dealing with right now on my journey of sanctification. If you were to look back & read in my blog-probably in just this past year-you will see how this song covers so much of my spiritual journey. -With my dealings with spiritual warfare, this reminds me that God is fighting on my side & is the ultimate winner. -& finally, the thing that means the most of course is about how Christ died for me & defeated death & has overcome this world!!! In case you didn't know, everyone in my house is snoring...I mean, asleep! ;) & I'm just having my own worship service. It's all I can do to keep quiet & not disturb them. This God; this Helper, Defender; this Conquering King; this Gracious, Merciful Savior...loves me! & He loves you too.